Photo(s) please. I can't find anything on the net. 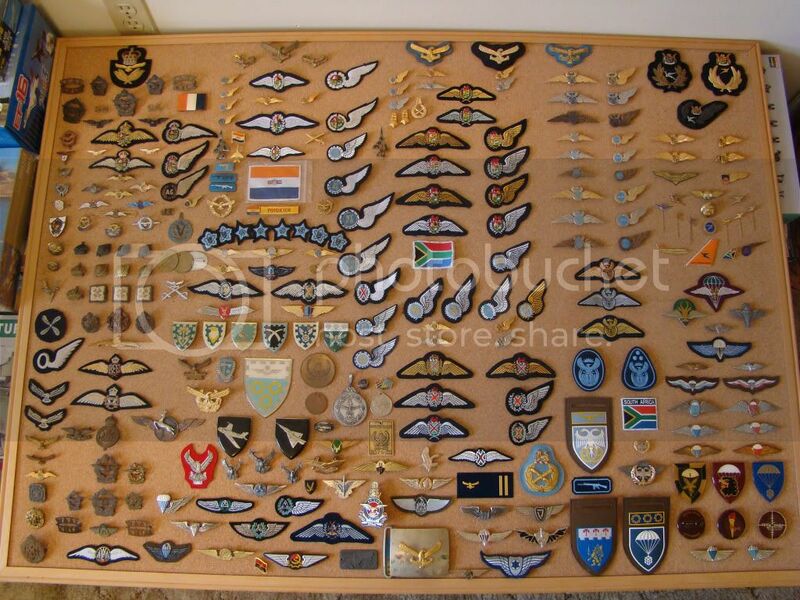 Added since the last pics are some original Hunter Group wings, Some Royal Flying Corps wings and Observer's wings, a South African Aviation Corps wing, a border war Angolan Air Force wing, some SAAF halfwings, and several other patches, badges, wings and ranks. Our next home doesn't have a basement yet but hopefully I can have them ready for mounting and display soon! Please feel free to post pictures of your own collections: It's always nice to meet and see people with common interests. Exquisite collection my friend... remember... sharing is caring.. and charity begins at home... so dont forget me when you feel the need to be generous! When in doubt, use a hammer. The bigger the doubt, the bigger the hammer. The photo of the second board in your post: Second row, first on the left. Details on that patch please. It says "PRO RE NATA". 17 Squadron patch - Helicopters. Flew Alouette III's during the border war - Currently flying Agusta A109 and Atlas Oryx helicopters. 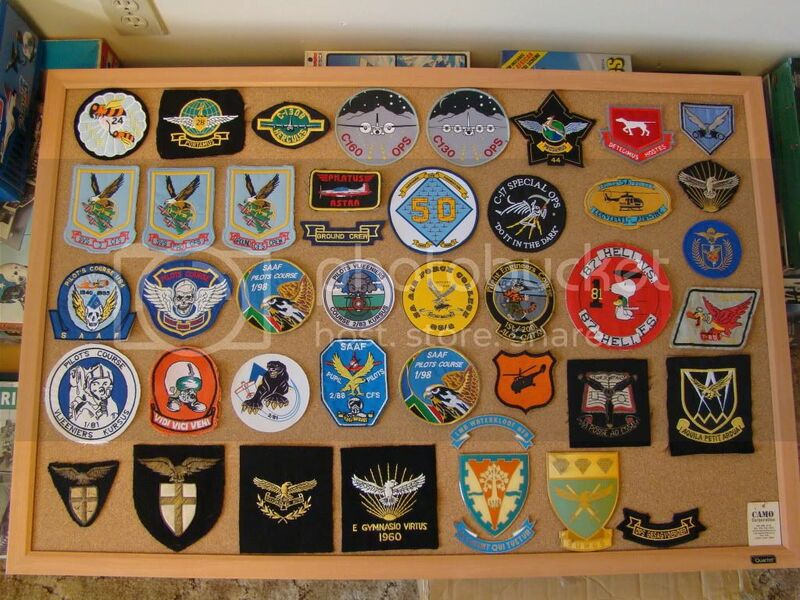 Is this the patch that you have on your new flight suit acquisition? It is indeed. 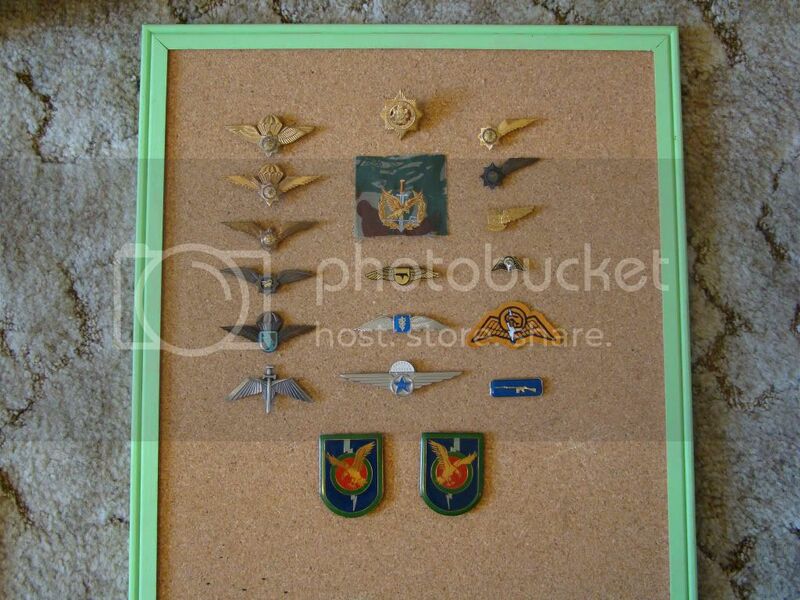 Also have a course badge, chest insignia (Captain), Alouette III, and another one but I'm not sure what it is Very first photo you posted, the wings on the right (3rd row, kind of). in the middle. The silver wings with the coat of arms in the middle. Assuming it has something to do with being an instructor? Seeing as 17 Squadron is still active, I'm presuming I shouldn't show off the badge ie wear the flightsuit with the badge on, right? 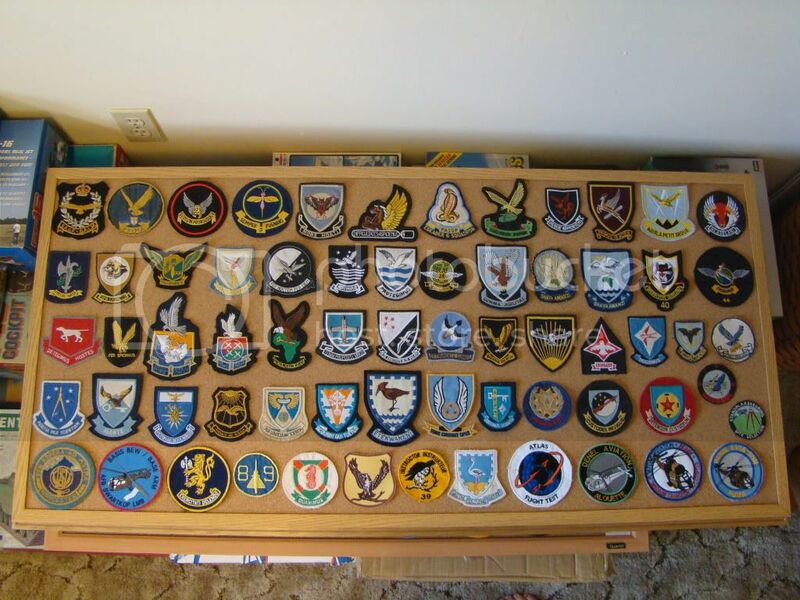 What does the bar on the Pro Patria medal say please Falcon 1? What is the badge to the right of what appears to be a SAMHS beret badge? The red background with springbok head upon crossed swords surrounded by laurel wreaths? The only bar issued for the Pro (Nutro) Patria medal was the bar for 1975 which has CUNENE on it. Incorrect: The bar found on my "Pro Nutro" is the Maluti bar - even more rare than the Cunene bar. My Pro Patria w/ Cunene is still in transit from SA. 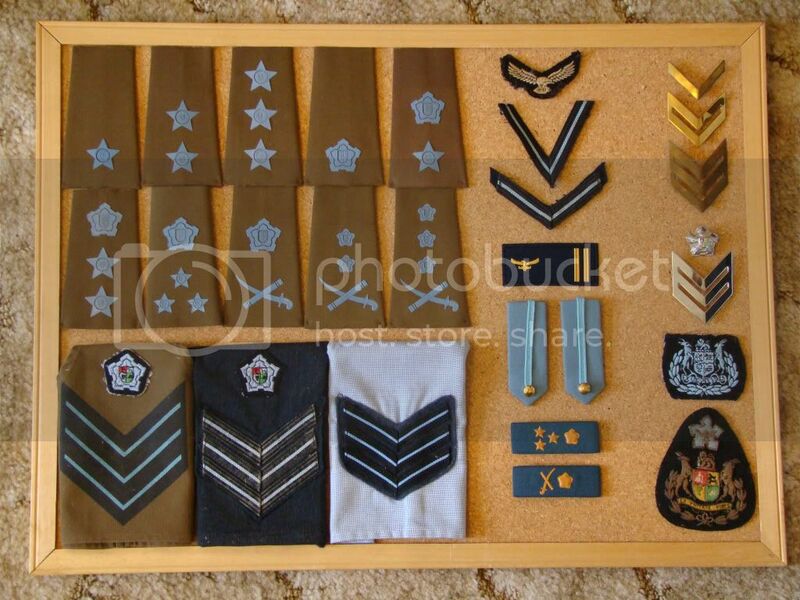 I have only heard of the Maluti Bar being issued for Operation Boleas on the General Service Medal (GSM). 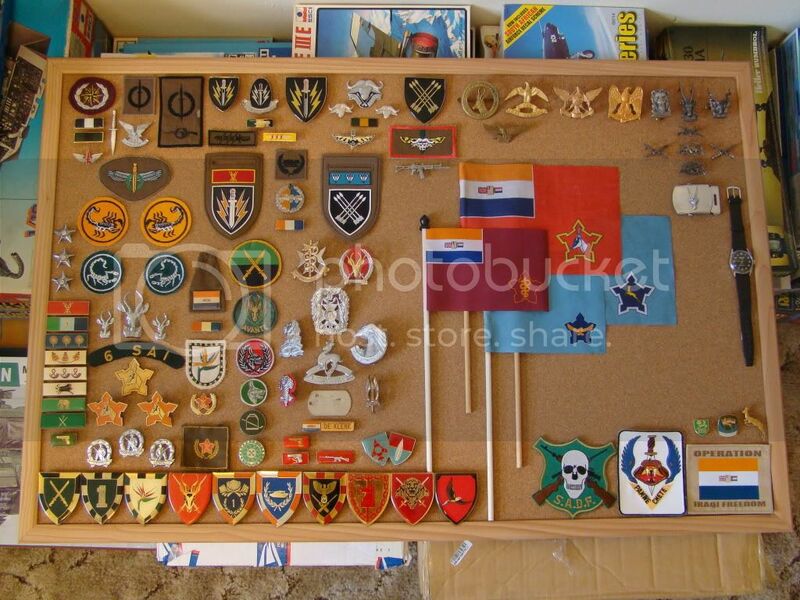 I take it then that this Pro Patria Medal and Maluti clasp was issued to SANDF members who were wounded or killed? The latter given to family of the deceased. The Pro Patria could be issued for death or wounded in combat. 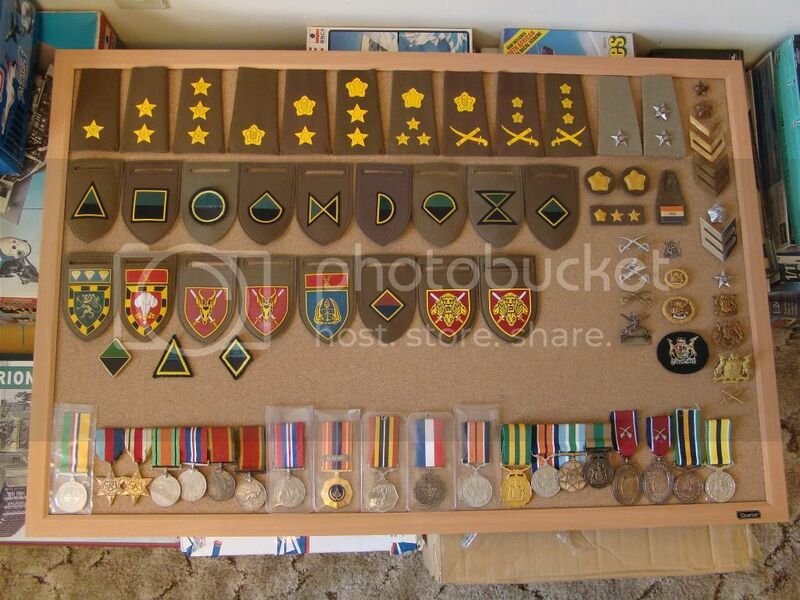 I have asked around and with my collector friends and none of them have heard of the Maluti clasp for the Pro Patria. They also have only have the Maluti Clasp for the GSM and the CUNENE for the Pro Patria, it is an interesting case this. Here we come with some more questions - what is the badge to the right of the cluster of skiet balkies and the de Klerk namebadge? Most unusual in that it seems to be a joining of two badges? I posted this on the SA subs thread, but here's two submariner's badges from W407594F's collection. Keeping with the SA naval theme, here's a Strikecraft badge from my tin of goodies. 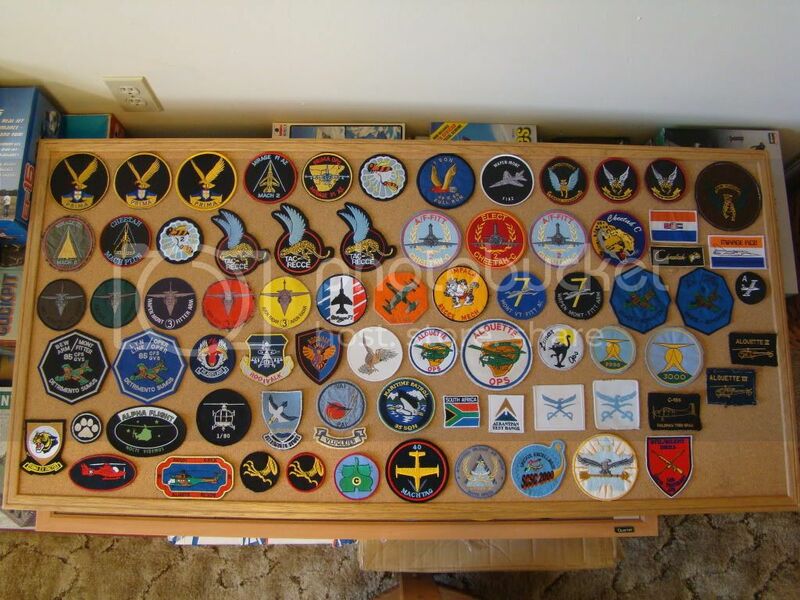 Who can help me find a 1/98 SAAF course patch as shown on the pictures before with the falcon?